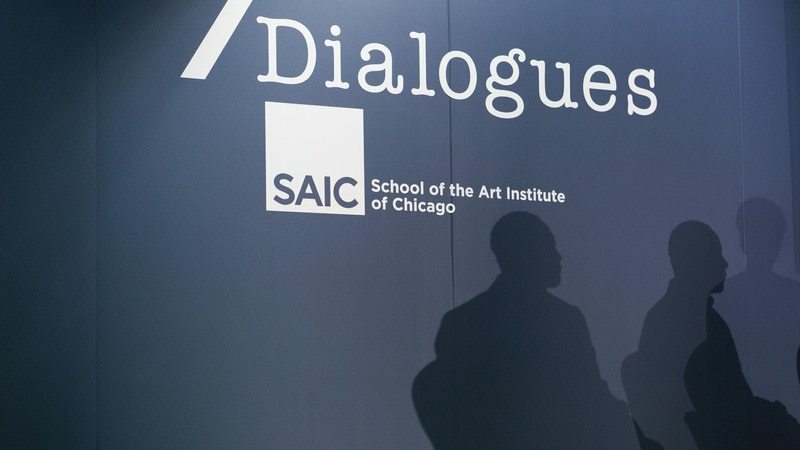 Dedicated to rigorous and challenging programming, EXPO CHICAGO hosts the /Dialogues panel series, featuring provocative artistic discourse with leading artists, curators, designers and arts professionals on the current issues that engage them; IN/SITU, featuring large-scale sculptures, site-specific, video and new media works; Curatorial initiatives engaging and providing exciting opportunities to mid-career and established curators; and more. On-Site Programs are free with ticket purchase. Situated throughout the exposition floor, IN/SITU provides a dynamic opportunity for our exhibiting galleries to showcase large-scale installations, suspended works, sculpture, film, video, and new media and performative works by leading international artists. 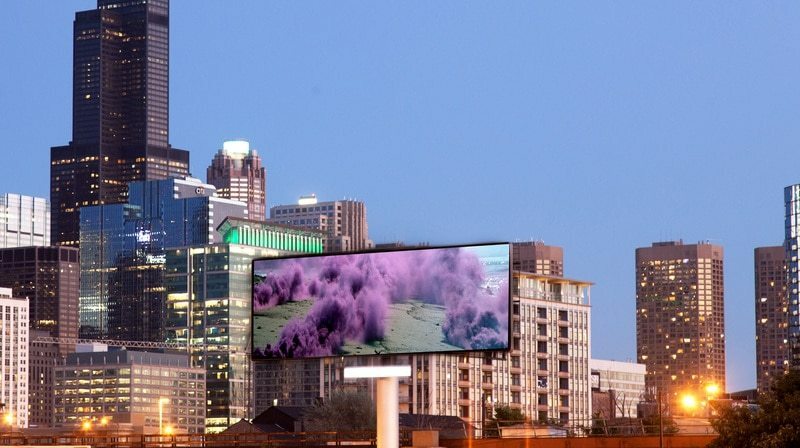 OVERRIDE | A Billboard Project is a cutting edge citywide public art initiative, presented by EXPO CHICAGO and the City of Chicago’s Department of Cultural Affairs and Special Events (DCASE). 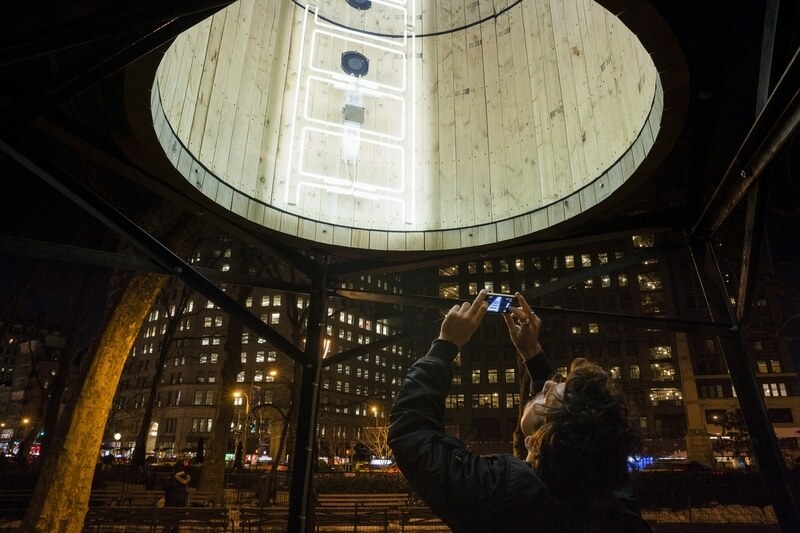 Displayed throughout Chicago’s City Digital Network (CDN), the citywide exhibition runs to align with the annual exposition. Placing artwork within this public context and the broader presentation of billboard advertising, OVERRIDE takes its name from industry terminology referring to the continuation of an outdoor advertising program beyond a contracted period. 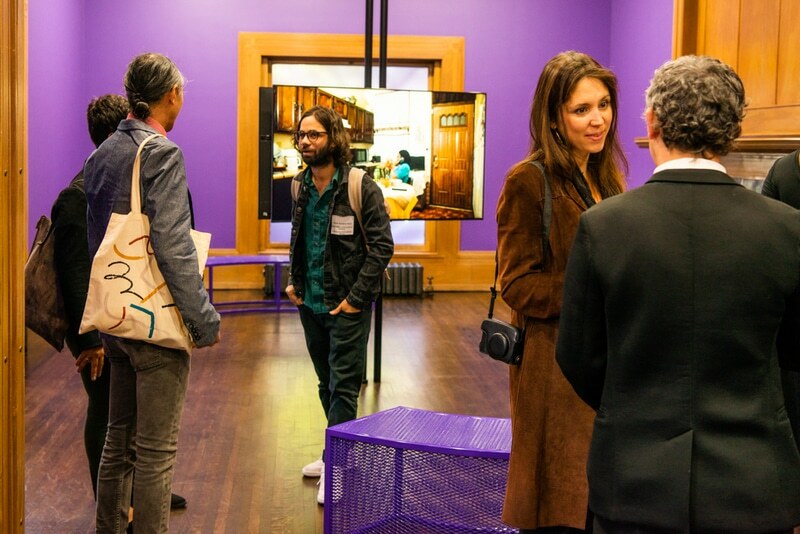 Developed by EXPO CHICAGO and Independent Curators International (ICI), the Curatorial Forum offers a group of mid-career and established curators, working independently or with an institutional affiliation, the opportunity to engage with their peers and explore significant issues relating to curating, programming, institution-building and audience engagement. 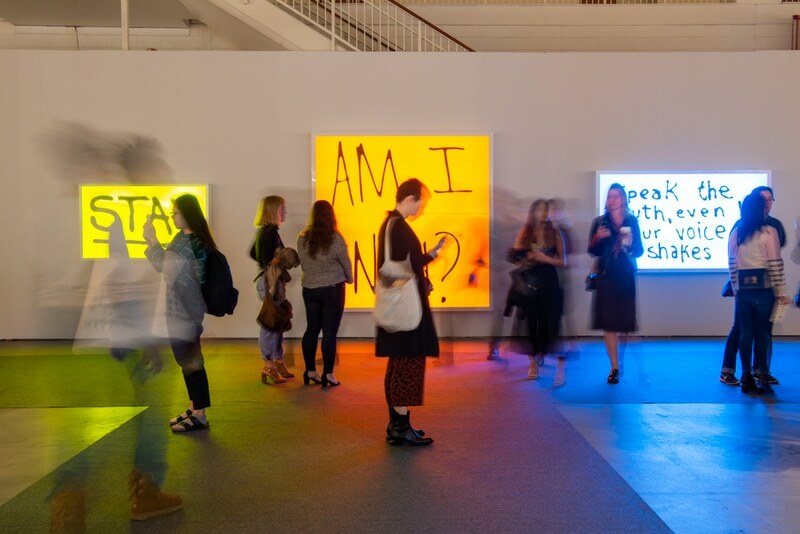 To compliment this program, EXPO CHICAGO officially launched the Curatorial Exchange program, an unprecedented international initiative developed by the exposition in partnership with foreign consulates and cultural agencies.